Eggs are an almost perfect food. They’re inexpensive, low in calories (under 80 and around 17 in an egg white) high in protein (more than six grams), easy to prepare and have a mild flavor that lends itself to lots of dishes. The list goes on and on, and all you need to explore the delicious world of regional egg dishes is a moderate understanding of how to cook and season these beauties. Because eggs have a mild flavor, they take on the unique qualities of the herbs used with them. If you want to showcase your garden herbs, how about sprinkling chopped nasturtium petals over scrambled eggs, or sprinkling fresh dill on a Munster and mushroom omelette? Paprika is another underutilized herb for egg dishes. Imported sweet and hot varieties have great flavor, especially in hot (temperature) foods. Put some fresh ground nutmeg in your bread pudding, or try some tarragon in your next veggie quiche or frittata. You can mix and match herbs, too: Try parsley and chives in your next ham and cheese omelette. If that's too tame, go with eggs scrambled with cumin, chili powder, cheddar cheese and cilantro, and serve it all up in a folded flour tortilla. Overcooking - One of the biggest mistakes cooks make when preparing eggs is providing too much of a good thing -- heat. Eggs cook pretty quickly, and they continue cooking after you remove them from the heat. Remove egg dishes like fritattas, quiche and scrambled eggs from the oven or stovetop a few minutes before they're done. They'll finish off on their own. Old eggs - Eggs may last a long time in your fridge, but never think an old egg will react like a new egg. If you want your deviled eggs to be centered and golden, opt for fresh eggs every time. Scrambled eggs - You can make perfect (not rubbery) scrambled eggs if you cook over low heat. As the egg layer at the bottom of the skillet solidifies, coax it off the bottom and sides of the pan into the still liquid egg mixture. Your scrambled eggs will cook more evenly that way and stay moist, too. 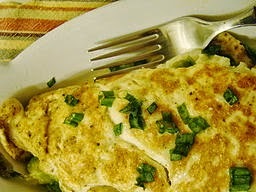 The perfect omelette - If you're making an omelette, change your strategy by cooking the egg fast and hot. Use two eggs per single serving omelette, add a tablespoon of water to the mixture and whisk it thoroughly. Heat oil in a skillet (hot). Add the eggs and start stirring. The bubbling action you'll see is the steam from the water boiling off. As it moves through the egg mixture, it steams it, so you're omelette will be moist (not tough) and evenly cooked throughout. As it firms up, stop stirring and let it create an unbroken layer. Remove the omelette from the heat while it's still slightly wet. Top it off with cheese or a combo filling and slide it onto a plate, folding it over the filling as you go. 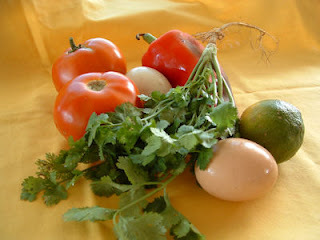 The perfect hard-boiled egg - Make perfect hard boiled eggs every time: Start with raw eggs in a generous pot of water. Bring the eggs to a boil and then turn off the heat. Leave the eggs in the hot water for 15 minutes, and then transfer them to cold water for another 15 minutes. If you have lots of eggs in a large container, use ice water to stop the cooking process fast. Halving - To halve a hard-boiled egg without tearing it, wet the knife blade. Poaching - If your poached eggs fall apart in water, always use cold eggs from the fridge, and add a teaspoon of vinegar to the pot. Stir the boiling water in swift circles, and then pour the eggs into the relatively stable center of the whirlpool you've created -- then let them cook undisturbed. It's the triple threat of poached egg prep. Separating - When separating yolks from whites, nothing works better than your splayed fingers. Volume - For fluffy beaten eggs, let them come up to room temperature in the shell. Try a few herbs for egg dishes the next time you're planning a quick breakfast scramble or think poached eggs on toast is just the thing for a Saturday morning meal on the deck. The right herbs make everything taste better. Best herb combination with scrambled eggs? Fresh rosemary and thyme are amazing! Thanks! This really helped me make my breakfast this morning! The best way to extract the yolk from an egg is to use a clean empty plastic bottle. Squeeze the bottle to let some of the air out, and while still squeezed, gently press the mouth of the bottle to the yolk and slowly and steadily loosen your grip from the bottle. The vacuum will pull the yolk from the egg white without popping the yolk. If you can't get it to work, the plastic may be too thin, and there are plenty if videos on youtube to illustrate it. Very good! Helped me get selected for Kids Baking Championship! Chop and shallow fry some garlic and onions and then mix them with your raw eggs before poaching. Serve with fried mushrooms and toast or even on lamb chops. Makes a delicious breakfast!